With prices fluctuating in landscaping and home improvement retailers, you want to explore more cost efficient ways to maintain your landscape. 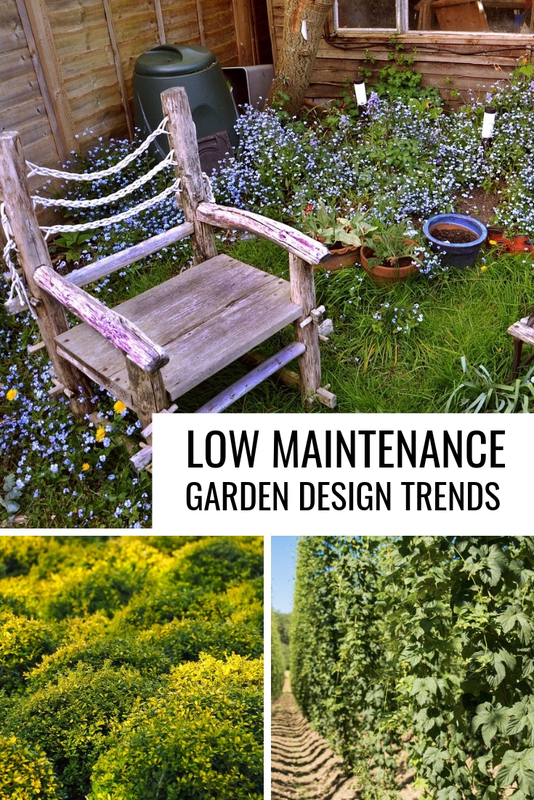 Perhaps, you’re pursuing a landscape design that encourages low maintenance design. Let’s review a few options you can take. A mistake most business owners and residents make is over treating their lawns to stop weeds. An application or two a season before the weeds come is good enough to discourage the weeds. The lawn won’t grow as much, but it’s still healthy. For tall blade grasses, they remain green while turf grasses turn a light brown. It’s safe to spread some rye grass seed on the grasses like Fescue. Rye grass seed is not ideal for grasses like Bermuda. Also, don’t fertilize the ground until the temperatures become moderate. Gardens with little to no ground cover are vulnerable during colder months. The durable plants such as evergreens and grasses are likely to survive, but they still require a ground cover. If you happen to live among a lot of trees, you can simply use the leaves. Pack the garden beds with leaves until the weather warms up. Remove leaves from the lawn and place them in the garden beds around plants susceptible to weather. Mulch – Mulch maintains temperature more effectively. A thick layering can prevent the cold from damaging garden plants. Pine Straw – Large needle pine straw are the most effective against weather, and they’re just as long lasting as pine straw. More homeowners are utilizing hop poles in 2019, so you may be curious how you can create one for your garden. Flagpole and Teepee hop poles cause clumps in the twine. Landscape professionals suggest residential clients use a Clothes Line hop pole due to its resistance to clumps in the line as the plant grows. Three lines come from each side of the T-shape pole. It’s a great design with less maintenance than other hop trellis designs. A flooded garden can cause more problems for the entire landscape. Standing water or rushing water saturates the ground and washes ground cover into random areas around your landscape. To combat this issue, use a drainage system in your garden bed. If you’re looking for a cost efficient and low maintenance approach to solving your drainage issue, you should go with a french drainage system or a trench drain design. You simply dig a channel from the area where standing water is likely to stay. Dig declining channels from the spot of standing water to the edge of the landscape. Next, dig out a space where you can place a catch basin. Connect corrugated plastic pipes or PVC pipes to the catch basin. Install the piping into the channels that were dug in the garden bed. Cover the pipes and channels with gravel rock first then cover the gravel rock with the same soil from the dug channels. Many don’t like the cost of ground covers and invest in garden grasses such as Monkey Grass or Mondo Grass. Garden grass roots spread rapidly throughout the year and provide a ground cover that absorbs water faster than most plants. Landscape professionals combine garden grasses with mulch and pine straw for an added effect. As you search for more solutions on your own, consider the options here in case you want to try these trends out yourself. The above article was sponsored by Pine River Group. The information contained in this article may contain ads or advertorial opinions.